This is the most stunning conditions I have ever had the good fortune to witness my favourite location in Scotland. 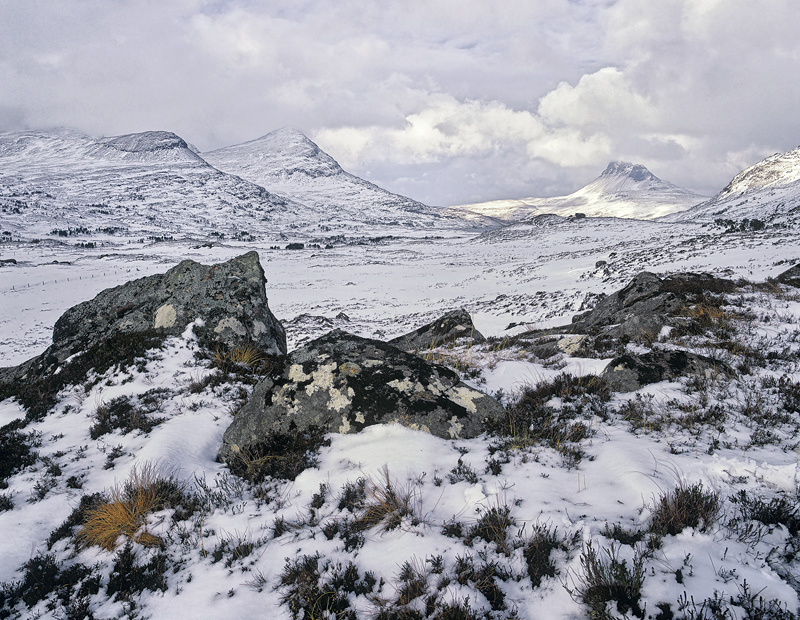 This beautiful wild area of Scotland is at its most beautiful in winter but rarely, very rarely do we get to see it like this. Whilst I adore snow I like to see a few scraps of colour too so that the scene does not always become monochromatic and here we have a superb tortioise shell collection of colours with ginger deer grass greenish lichens, maroon heather and stray golden grasses poking through beside the rocks. I waited for ages for Stac Pollaidh to light up and eventually it did.